Former President and Revolutionary Leader of Cuba Fidel Castro’s death was announced on Friday, November 25th. 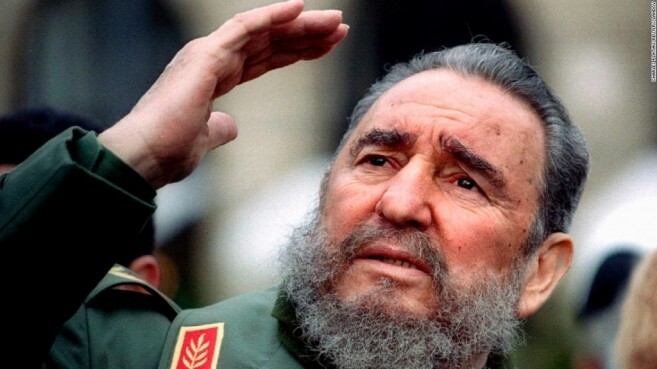 90 year-old Castro was historically known to have governed Cuba as Prime Minister from 1959 to 1976, and as President from 1976 to 2008. While many political leaders consider Castro as an adversary, some countries like Belize consider him an ally. Former Prime Minister of Belize Honorable Said Musa also recognized Castro’s contribution to Belize. "Cuba was a leader in the Non Aligned Movement and the Non Aligned Movement was crucial in getting support for Belize at the United Nations, because they were 77, originally right, and eventually became over 100 of non-aligned countries, the Group of 77….we were fighting for that independence, and we did it diplomatically. Cuba, of course, fought for their independence with blood, they shed their blood for it…we look to Cuba as the greatest example of a freedom-struggling people. They fought for their freedom…Commandante Fidel championed that issue as: People must be free. A People must be sovereign…that is why with all the help that Cuba gave to Belize, they never asked for anything in return, because they respected the sovereignty and independence of Belize…Cuba was crucial in our struggle for independence,” said Musa. Cuban Ambassador to Belize Lissette Perez Perez expressed her thoughts on Castro’s death, while noting the immense support he had for a united Caribbean region, including Belize. “I think that the Caribbean also received the shows of solidarity from Cuba because of Fidel…he was thinking all the time of the Caribbean, of the people of the world, the poor of the world. That’s why for us, we think that Fidel will always be alive, because this spirit of solidarity, this spirit of good and better persons and helping others, will always be alive…Cuba, all the time had been very close to the Caribbean in their struggle for independence, in self-sovereignty. We also tried to help the Caribbean in the case of health care; in the case of education; in the case of sport, in area where we can share some experience, and it has been very useful for the Caribbean and for Cuba also because [we have] been creating linkages with all our brothers in the Caribbean Sea. Cuba, for us, is part of the Caribbean family and we consider us as a part of all the Caribbean Community, Regional Integration (CARICOM) members,” said Perez. Castro’s state funeral is scheduled Sunday, December 4th. Although Prime Minister Barrow will be unable to attend, Deputy Prime Minister Patrick Faber will join Minister of Foreign Affairs Honorable Wilfred Elrington in representing the country at his funeral.